It has been a week since Apple announced not just one but two new iPhones: the iPhone 5c and the iPhone 5s. This is a major shift in their product strategy as this was the first time Apple introduced two new iPhones in one year. Apple's flagship phone at the moment is the iPhone 5s. It is a wonderful piece of technology. But, for this post we are not going to focus on that device. The other device that was announced, the iPhone 5c is the one that is getting a lot of mixed reviews and mostly negative buzz. So, in defense of the iPhone 5c, here are some of the reasons why I think it is still a smart move for Apple to release it. The iPod touch was once the king of Apple's iOS devices. But, the market for it is steadily declining. The reason? The kids that prefer having them are switching to smartphones. Releasing a phone that is screaming a youthful and colorful design might just absorb that market and channel them to the iPhone. These young people who are already familiar with the iOS ecosystem will definitely prefer iPhones. After all, the starting price of $99 for the iPhone 5c is similar to the iPod touch except you get to pay the monthly contract on the iPhone. You can also think of it this way. The iPhone 5s is the high end model, a pro model for those who care about the recent and most powerful technology. This not for everyone. The iPhone 5c, on the other hand is for the casual smartphone users who prefer a more fun and diverse option. Apple cares about margins. All the other companies that directly compete with them care about the market share. You may or may not like it but that is what separates them from the competition. It could be very much easy for them to throw out a super cheap iPhone to compete with the low cost handset market (this is what the media expected). But, it is very obvious that they intend to maintain the 'luxury' brand they have built over the years. A luxury brand with products that deliver excellent quality would definitely mean profit. People do not mind paying a premium for these products. In fact, as of this writing the iPhone 5c is getting sold out in China (which is quite ironic because the media was also expecting this market to demand for a 'cheap' iPhone). Another thing to consider here is how the iPhone 5c entered the market. For 5 years, there has only been one new iPhone that people will rave about. All the other people who find the 'new' iPhone too expensive (or extravagant) for their needs will settle with the 'old' iPhone released a year ago which will be repriced for a hundred dollars less. The latter, being 'old' is obviously not that attractive. Right now, that strategy has changed. The iPhone 5c is technically (in almost all aspects) just the iPhone 5 from a year ago repackaged in colorful cases. And, from a marketing perspective "if it looks new, it's new." Majority of the people who are not tech nerds (that care about specs) will obviously rave about it. The manufacturing cost was also cheaper for Apple because of the hard-coated polycarbonate material it was built with. The iPhone 5 was made from iodized aluminum which was a more expensive option. See why the iPhone 5 was discontinued? High margins obviously. All those reasons show why Apple after all is a company that is concerned about making money. I have been closely following Apple as a company since 2008 (the year I became an Apple fanboy). That means I look not at the technical specifications of each of their products. I am more concerned of their marketing strategies, their competitive edge and their vision. And yes, I am a Steve Jobs fan too. All these things made me understand why Apple is such a valuable company. Here is the part that most critics miss: Apple is a 'user experience' company. It's not about the tech specs anymore. You just can't judge this company by looking at how the other companies' hardware have more numbers. Apple is concerned of how you will be using each of the tiny little details they pack into the phone by presenting how each of them would solve a common user problem. Let us jump to the iPhone 5s a bit to give you an example of what I mean. When they introduced the new 64-bit A7 chip, they demoed it with Infinity Blade III to show how the users would exactly benefit from a fast processing power. The M7 Motion Co-processor (which opens up a new world of possibilities) was demoed with the Nike + Move app to show how it intelligently calculates movements without sacrificing battery life. The Touch ID has carefully thought out how we could solve the hassles of the 'PIN code age' while emphasizing security. Apple never spends too much time detailing on hardware specs that most users won't care about (or maybe even understand). Again, only the tech nerds will ask about RAM, battery size, chips and all that stuff. That means, having said all that, the iPhone 5c was obviously released after having carefully considered the user experience people will get from it. This brings me to the last point. "It is beautifully, unapologetically plastic"
Those are the words of Sir Jony Ive, the design genius himself. I must admit. I cringed the first time I read the rumor of a 'plastic' iPhone. This is probably the biggest drawback of the iPhone 5c. But, taking into consideration how Apple is a 'user experience' company, I do not think Apple will sacrifice the build quality of such a beautiful piece of hardware. In its video ad, it says the iPhone 5c is "plastic, perfected." I've read tons of blogs and first impressions of tech bloggers who were there at the September 10 event. I have never read a single one that said it felt like a cheap plastic iPhone (the iPhone 3G and 3GS were plastic but never felt cheap by the way). All of them were saying how surprisingly good, solid and dense of a plastic it was. For now, I just do not want to get my hopes up. I just think it's not worth criticizing such great marketing strategy from a very smart and valuable company. It takes a different kind of understanding to see the whole marketing picture of how Apple is trying to position itself in the competition. I personally cannot wait to see it and hold it with my hands. It is the only way I can confirm what these tech bloggers have been saying about the device. I am most likely getting the blue one for Christmas. How about you? 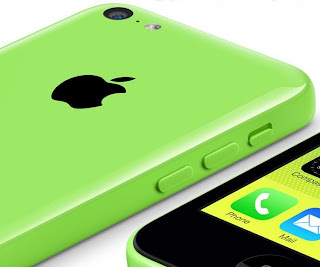 What do you think of the new iPhone 5c?